Smoothies as an Easy Complete Meal, Delicious too! 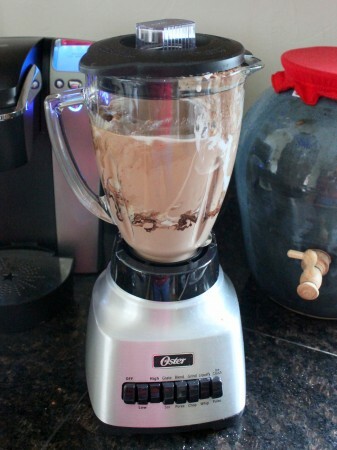 Home » GAPS Diet » GAPS Recipes » breakfast » Smoothies as an Easy Complete Meal, Delicious too! My kids call these milkshakes, and I don’t correct them. Sweetened only with banana, these smoothies are a fast breakfast, lunch, or nutritious snack (though we don’t snack) that keep you going for hours! The topping is just plain yogurt and fresh raspberries. We love raspberries, and purchase small baskets of them instead of candy or cookies as treats. Blend all ingredients other than the raspberries and yogurt for garnish, adding yogurt or milk if needed to thin. 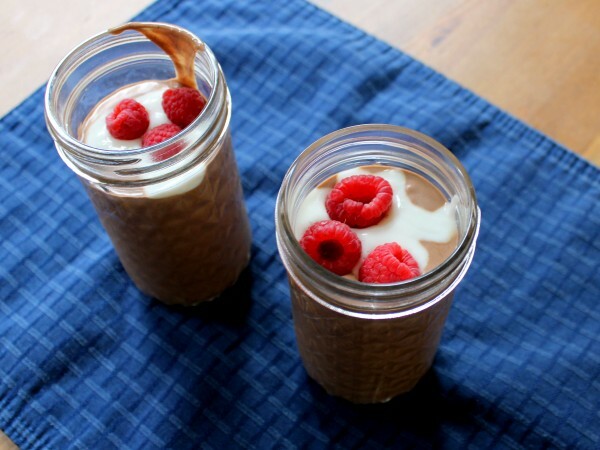 Pour into cups and top with plain yogurt and a couple fresh raspberries. Pour any extra into popsicle molds for a treat later! Can you please tell me why you add the diatomaceous earth? Thanks. love the smoothie recipe with the coconut milk addition! i’m a big fan of homemade kefir and raw cacao nib smoothies, i’m excited to add the coconut milk. i am also curious about DE. i have always taken it on an empty stomach at least 20 min before food as i read that it inhibits nutrient absorption if taken with food. i am aware of it as adding silica and minerals and also as a gentle digestive/parasite cleanser. what is its purpose in the smoothie? btw: i purchased your “what can i eat now” 2 months ago and it was priceless for doing GAPS intro. i have recommended to many folks. AWESOME! What can we substitute for the coconut milk as my daughter is allergic to coconut?